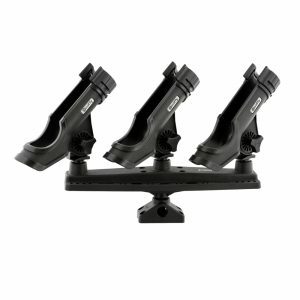 Our Scotty Triple Rod Holder systems allow you to design your own ideal fishing combo. Whether you choose to go with the 256 Triple Power Lock Rod Holder option, or design your own Triple Rod Holder with our 257 Triple Mount and whatever Scotty post mount Rod Holders you choose or have on hand. 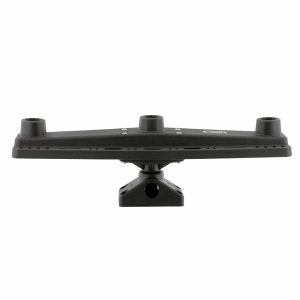 The universal triple board design allows for three different post mount attachments, enabling you to drop and lock a Scotty Camera Mount, Fishfinder Mount, Rod Holder, Cup Holder or any Scotty post mounted accessories of choice in! 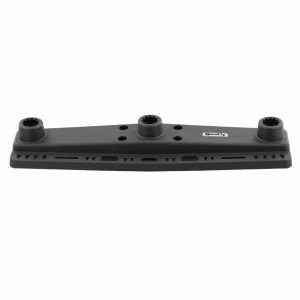 You can design a custom holder that mounts up to three different items and is attached from only one mounting point on your watercraft. This super functional rod holder and accessory system can easily be stored away when not in use. With Scotty, the options and gear possibilities are simply endless!